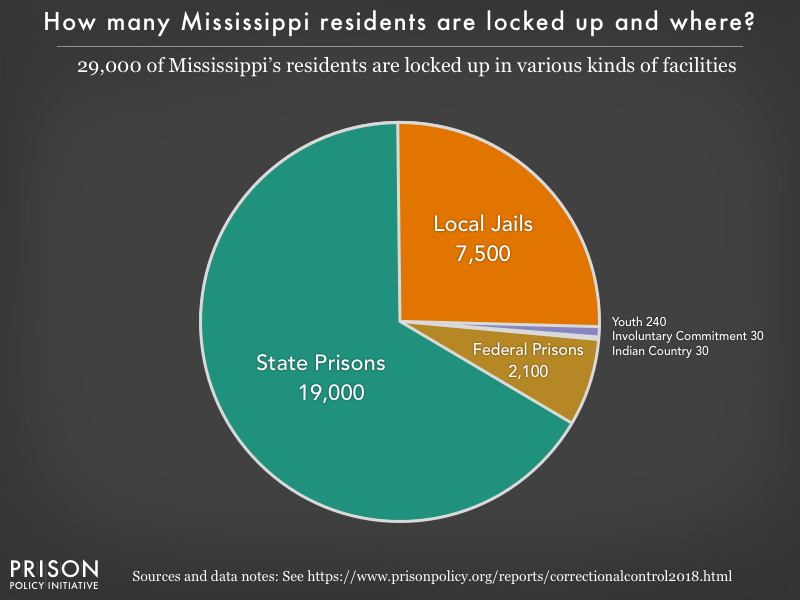 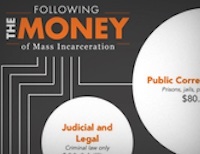 More than half of the people held in jails in Mississippi are held for federal or state agencies, primarily the state prison system.To avoid counting them twice, this population is not included in the yellow jails line. 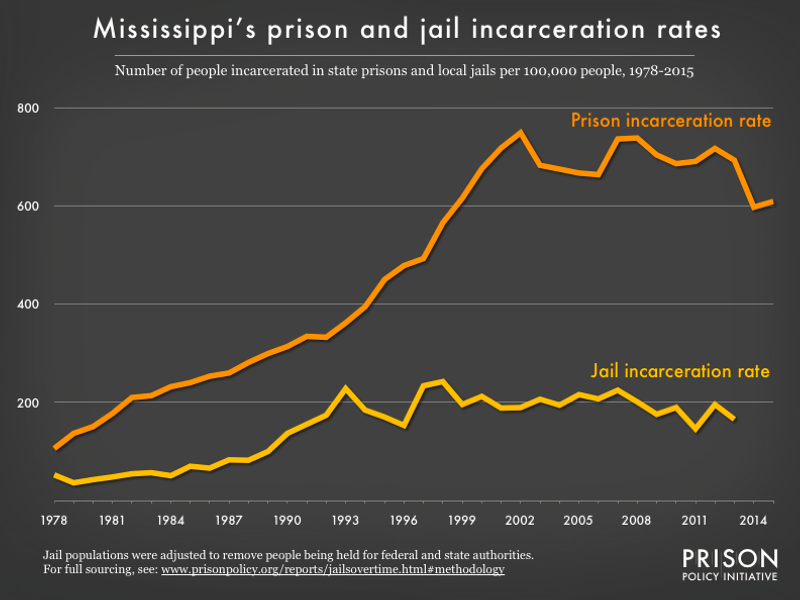 For annual counts of people in jails held for federal or state authorizes in Mississippi, see our table "Jail and prison incarcerated populations by state over time." 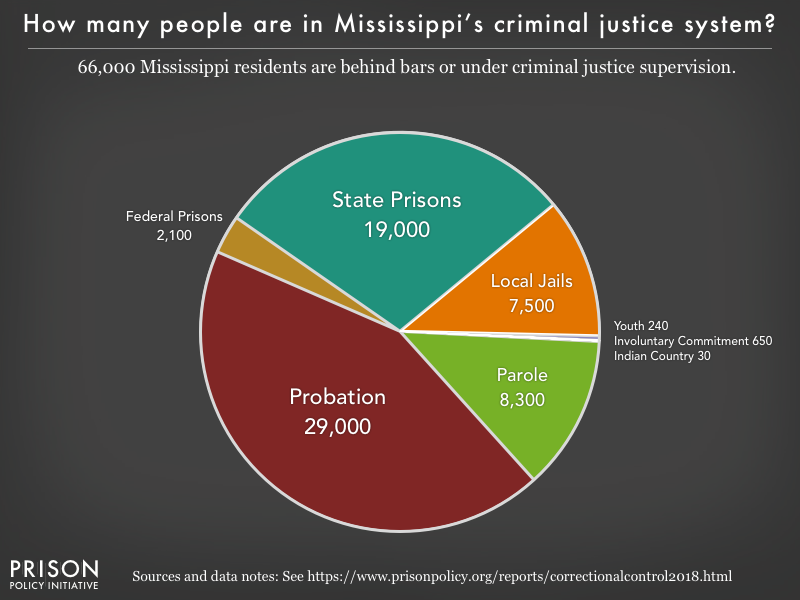 This graph excludes people held for state or federal authorities from the total count of people held in Mississippi jails. 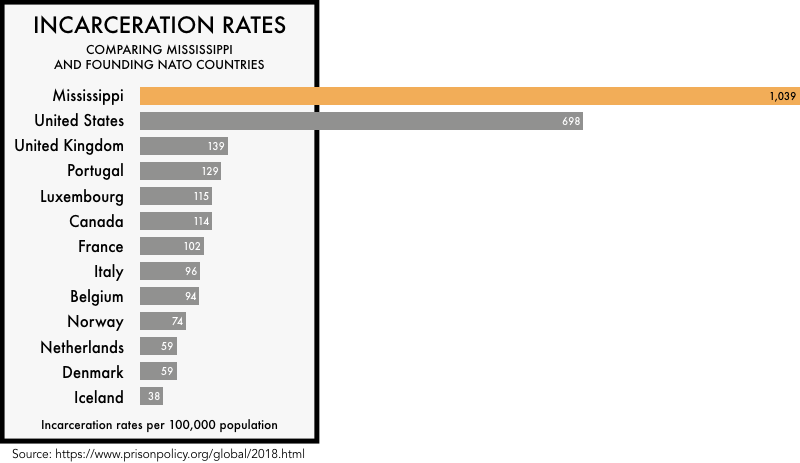 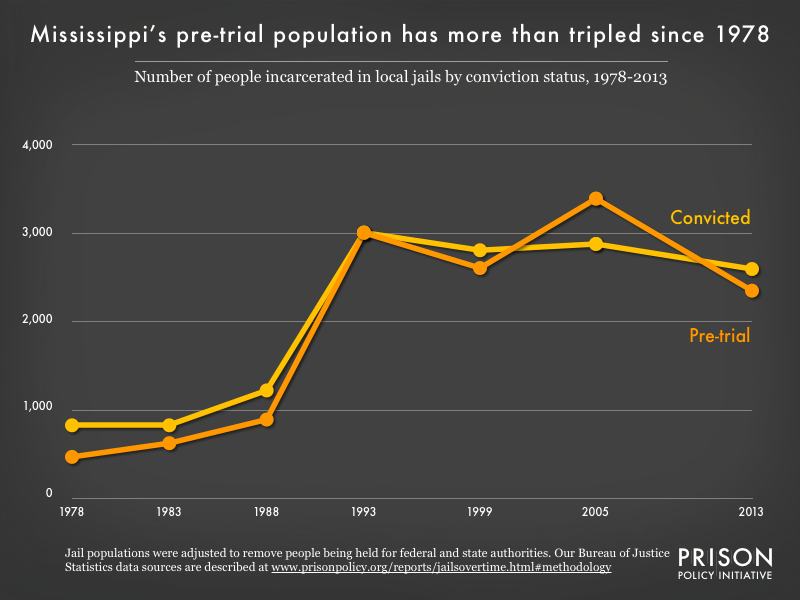 Because a tremendous proportion (48%) of the population in Mississippi’s jails is held for the state prison system, this graph likely overstates the convicted population and understates the pre-trial population. 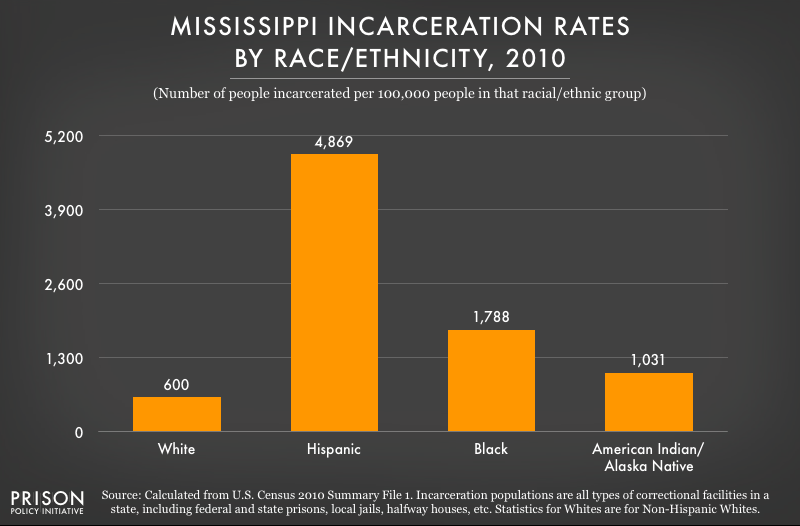 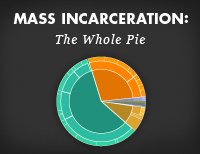 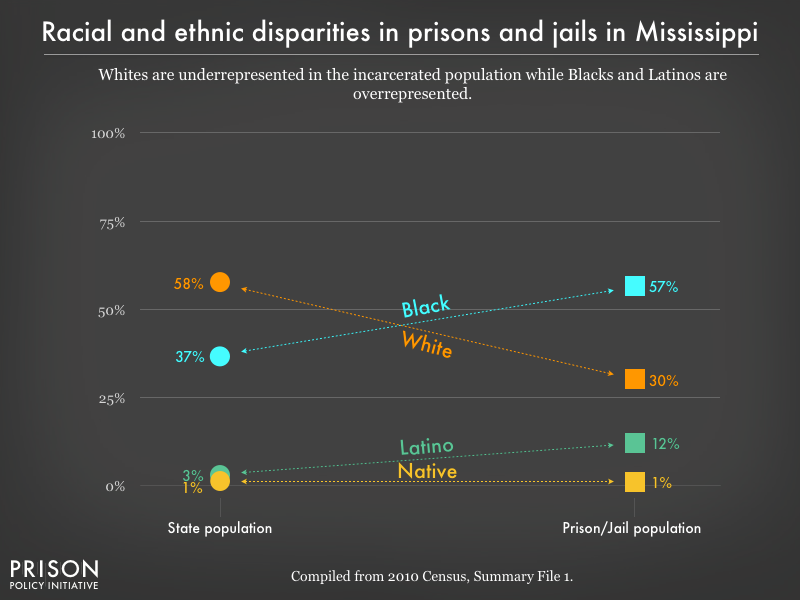 See also our detailed graphs about Whites, Hispanics, and Blacks in Mississippi prisons and jails.